Coupling & Crosstalk is my column in the MEPTEC Report. This column appears in the Winter 2016 edition on pages 8-9. Quality, Meet Safety & Security! Can reliability and production testing keep pace with the explosive growth in microelectromechanical system (MEMS) based product volumes? Soon it will be the rare consumer product that does not include a MEMS device bringing us closer to the possibility of a $1 trillion MEMS market. 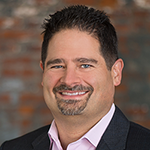 In order to achieve greater adoption of the technology, cost and quality goals will need to be met through testing and reliability. 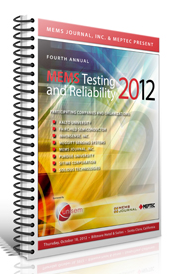 This was the focus of the MEMS Testing and Reliability 2012 conference produced by MEMS Journal and MicroElectronics Packaging and Test Council (MEPTEC). Mervi Paulasto-Kröckel (Professor, Aalto University) in “On the Reliability Characterization of MEMS Devices” examined the current methods for reliability assessment in MEMS devices and identified necessary improvements. Currently, the reliability of MEMS devices are evaluated in the functioning state. A sensor is tested by applying a known stimulus and comparing the sensor output while varying the test conditions such as temperature, humidity, etc. MEMS actuators are similarly tested by providing a known input and measuring the output of the actuator over the range of test conditions. Significant deviation between the expected and measured result indicates a failure. Simple functional test is appropriate for manufacturing quality testing however it is inadequate for measuring and improving device reliability.